12 Mid-Century Modern Lighting Ideas That Simply Work! When we think of mid-century décor most of immediately think of classic and elegant. 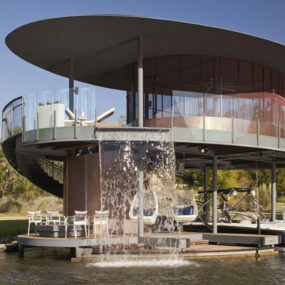 However, not everyone wants to have a fully mid-century decorated home. 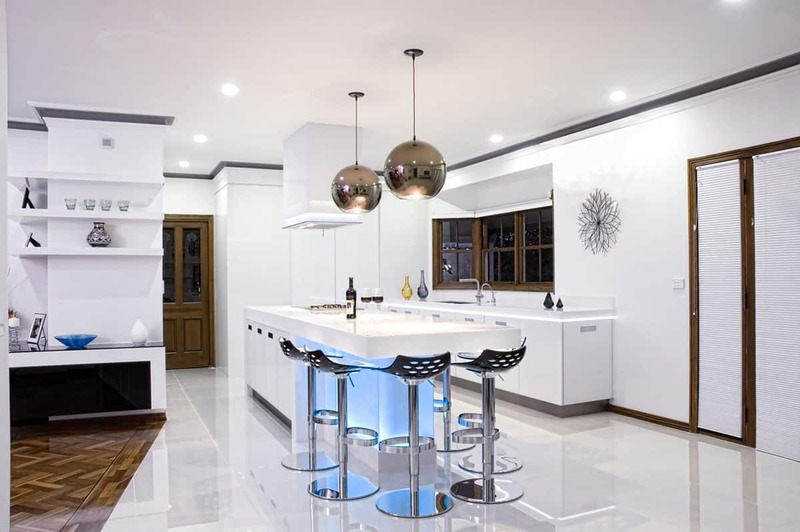 If you are not sure if you want to go down the road of immersing yourself in the mid-century decorative style consider the mid-century modern lighting style instead. There is something about mid-century modern lighting that is very chic yet trendy, and elegant all at once. Light your home with one of these lighting ideas for the ultimate twist. Here are 12 you should take into perspective. The great aspect about tinted pendants is that they come in multiple different shades as well as shapes. You can add multiple different tinted pendants in intricate shapes to give your kitchen a modern yet mid-century twist. Consider using darker shades if your kitchen is filled with light tones for a bold statement. Pendants have pretty much taken over modern lighting. However, they have become even trendier by being tinted. 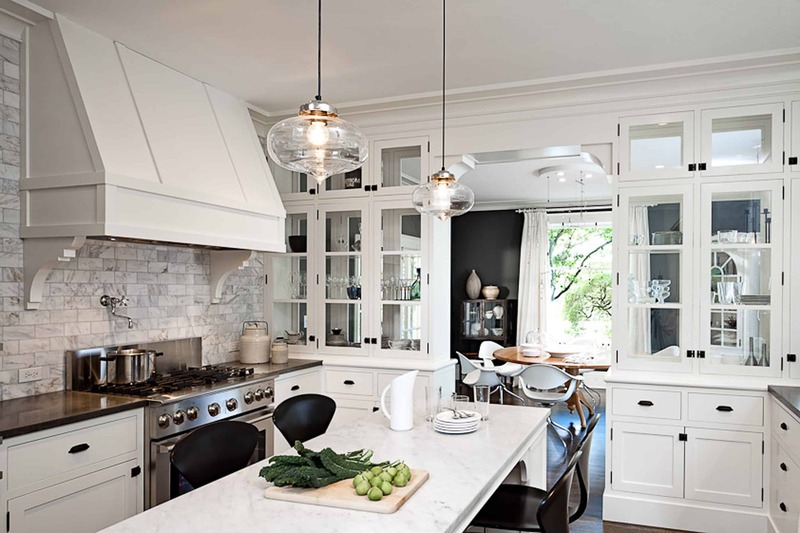 Tinted pendants provide a tint of color while still being great light fixtures. Choose neutral tones when it comes to the tint on your pendants as it will help maintain the beauty of your current décor. A glam pendant can be located anywhere in the home for an upscale look. It is also a great way to add a metallic touch. Metallics are very much on trend which is why you may want to incorporate them into your decor space. Consider a small pendant as it will be easy to have and a more mid-century feel than a larger one. Just like tinted pendants are always a good idea, glamourous pendants are as well. Adding a hint of glamour to any room is always a good idea, especially when it is done through lighting fixtures. A glamorous fixture will give the room a vintage touch that is also elegant. It’s an all-around good idea to have a glam pendant in any room. Chrome chandeliers are ideal because they add a modern twist anywhere they are placed. You can place it in the breakfast area, kitchen, bedroom and/or office to transform the space from a regular everyday space to an upscale more modern living space. Chrome also makes the room appear larger and even more expansive. Chrome chandeliers are not as popular because they can be a bit difficult to decorate with. 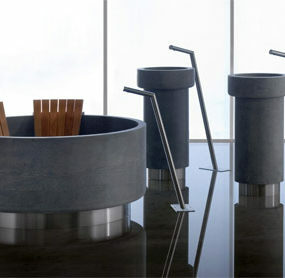 The reason being they’re such a statement piece that other items in a room may not seem like enough. 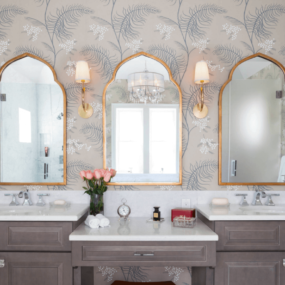 In order to decorate well with these, you want to have a few mirrors in the room to add to the chrome effect of the chandelier. 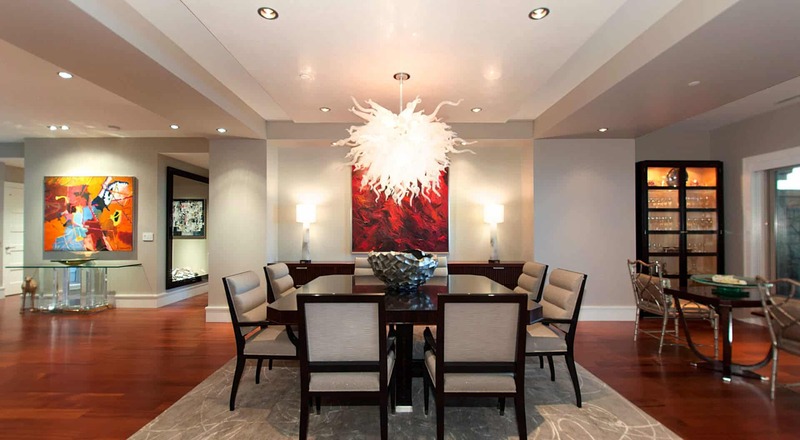 A modern chandelier comes in multiple different shapes, sizes, and even colors. 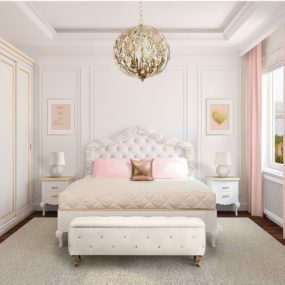 They give any room an upscale vibe that can make you feel as if you have entered a new and different space in your home even if all you changed from your decor is your chandelier. Choose a bright, bold color or even shade of white for a pop of color. Modern seems like the last word you may associate with chandeliers. However, modern chandeliers are a thing and they are extremely on trend. Modern chandeliers are great for any space because of how interesting they are to look at. There is something very intriguing about looking up into a room and noticing a modern chandelier in the space. 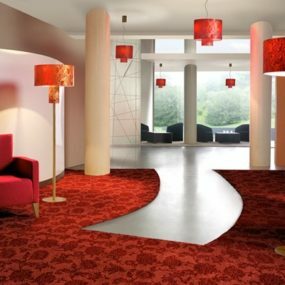 Just like modern chandeliers come in multiple different sizes, colors, and textures modern floor lamps do as well. 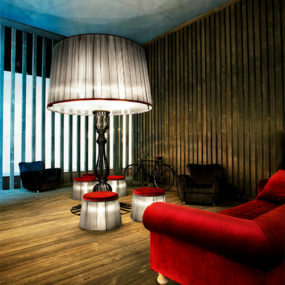 If you really want a modern look choose a floor lamp that is made out of wood. 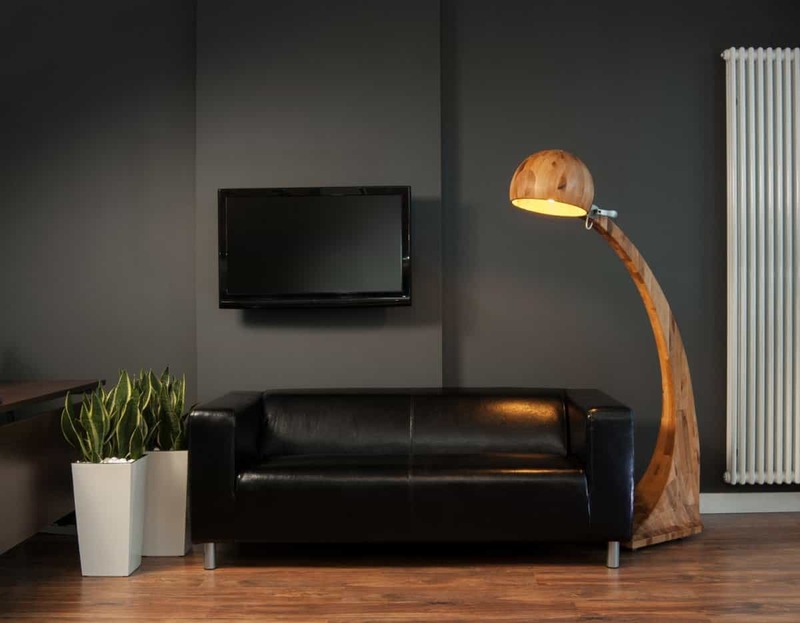 Wooden floor lamps not only give an edge but they add a natural feel that stands out. Floor lamps are not as popular as they used to be. 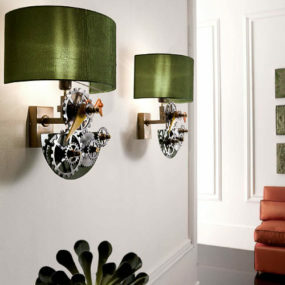 However, when it comes to mid-century light fixture décor they are everything you need and more. Pair your modern floor lamp with a bold wallpaper and/or bold wall color for the ultimate mid-century appeal. Scones are fun because they can be placed anywhere on the walls of your home. Metallic scones add a bold accent. However, if you do not want to have fully metallic scones you can always choose scones that have a metallic base. Scones that have a metallic base provide the color yet are less bold then fully metallic scones are. Scones are typically custom to the home. What we mean by that is that many homeowners who do have scones prefer for them to be in one specific area and in one specific color. Instead, we recommend having metallic scones. Metallic scones add a metallic twist on a traditional look which is where the mid-century trend comes into play. Metallic scones add a little something extra to the room. Silver spheres are modern yet mid-century, and contemporary all at the same time which makes them ideal for creating a fun visual into the space. You can also choose to have more than one silver sphere as they look great when there are two or more in a room. It just looks more cohesive which is always nice to have. 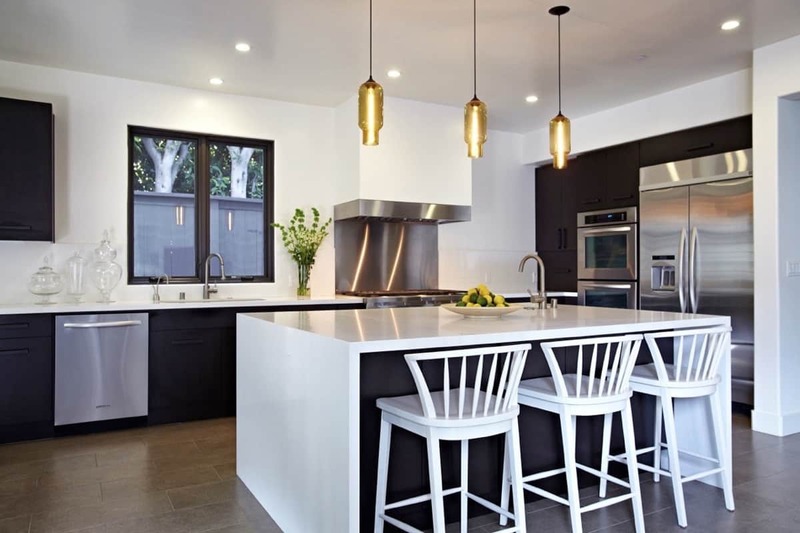 If you have a neutral kitchen and want to keep it that way by not adding much color with your lighting, choosing a silver lighting fixture is the way to go. Add silver spheres to your kitchen for a mid-century upgrade that will enhance your space. It will also great a focal point in a neutral area without adding color. Sleek and minimal does not mean boring. You can have a floor minimal lamp in an intricate shape. This will add a hint of boldness to the lamp that will work great in any neutral or patterned space. 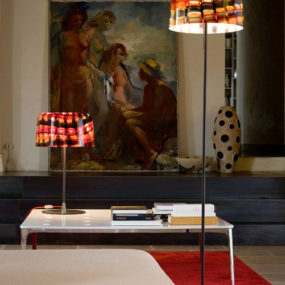 Consider having a minimal lamp in front of a bold wall this will bring out the vibrancy of the lamp. One characteristic that defines mid-century décor is sleeker décor. A sleek and minimal light fixture may be exactly what you need in your space. 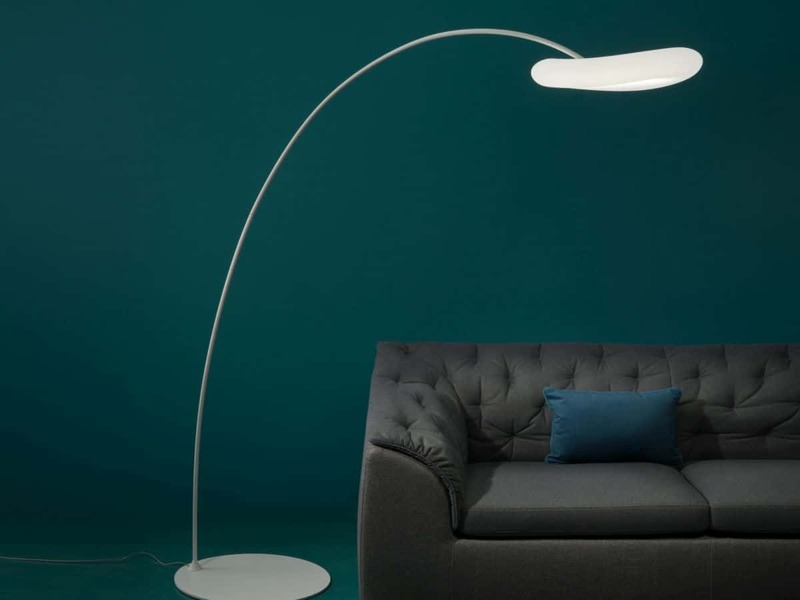 A simple floor lamp can make a huge difference in a subtle way. In a room full of color and/or pattern a sleek, light fixture is the way to go. If you do not find a structured lamp that fits your space. You can pretty much create structure with any lighting fixture you have. 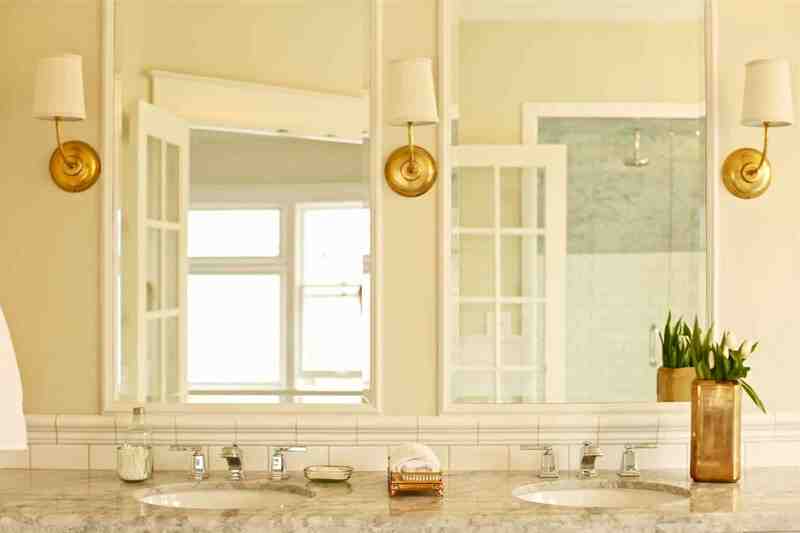 Purchase two identical light fixtures and place them a few inches away from each other to create a structured feel. This can be done in any area of the home. It works exceptionally well in the kitchen. In a modern space, there may be little to no structure. However, if you want to add structure a structured lamp can help you do just that. The idea of adding structured lamp may seem intimidating. But, when it is done correctly, it can add sharpness to the room it is placed in. 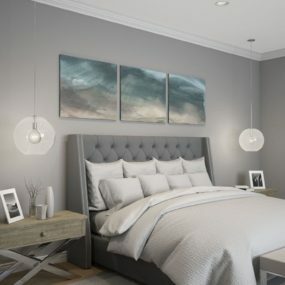 Globe lights are great because they can be placed in multiple different spaces in the home and that includes your bedroom side tables. You do not have to maintain them on the floor if you choose not to. Because of their portability, many individuals choose to have multiple different ones in the home including numerous different colored ones as well. 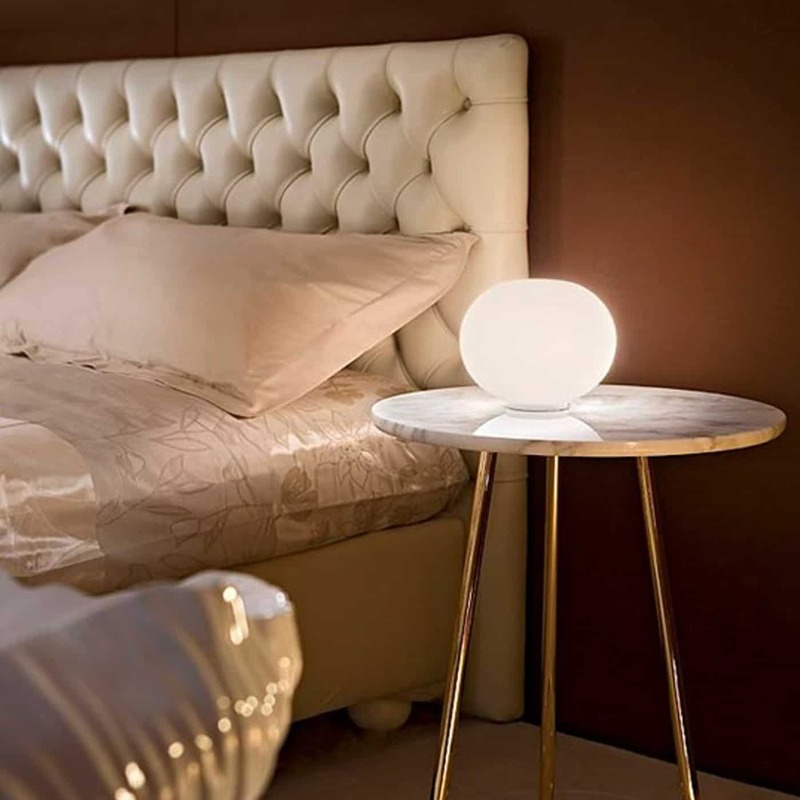 Yes, you read that correctly, we recommend and love the idea of adding a floor globe to your bedroom as a lighting fixture. How fun would it be to turn off all your lights and be left with a glass globe that emphasizes the beauty of the room? Not only does a floor globe looks great during the day when it is off, it looks even better at night. You can choose to have it on the floor or even on top of your nightstand. The intricacy of a busting pendant is one of a kind. They work extremely well in a small space such as a dining table. The reason they work so well in this space is because this space of the home tends to be simple. A simple space paired with a bold pendant creates a touch of character to a monotone room. Bursting pendants add personality and are loads of fun. If you have a space that needs to be spruced up adding a bursting pendant will brighten up a room while giving it character. Bursting pendants can also be customized which works great when you want to take this kind of aesthetics a step further and create the ultimate piece for your specific living space. A classic chandelier adds a hint of class to any room decor. The beauty of a classic chandelier will help create a beautiful setting that is elegant all while pulling the entire look together. 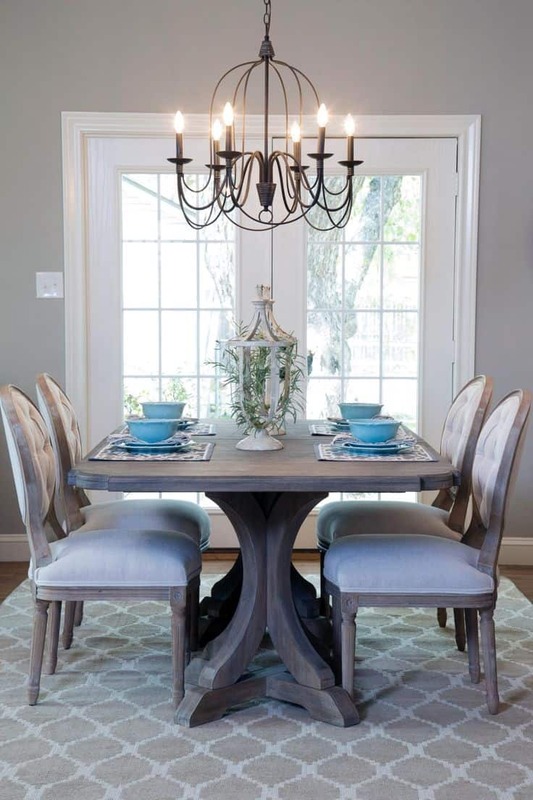 Add a classic chandelier to a dining space or even to your kitchen when you want that little bit of a feminine touch. No matter the season, the time, or the century chandeliers will always remain a classic piece that can be incorporated into any area of a home. Especially if you have a space that is missing a little something extra to make it come alive. A classic chandelier will do just that while still being a statement piece. 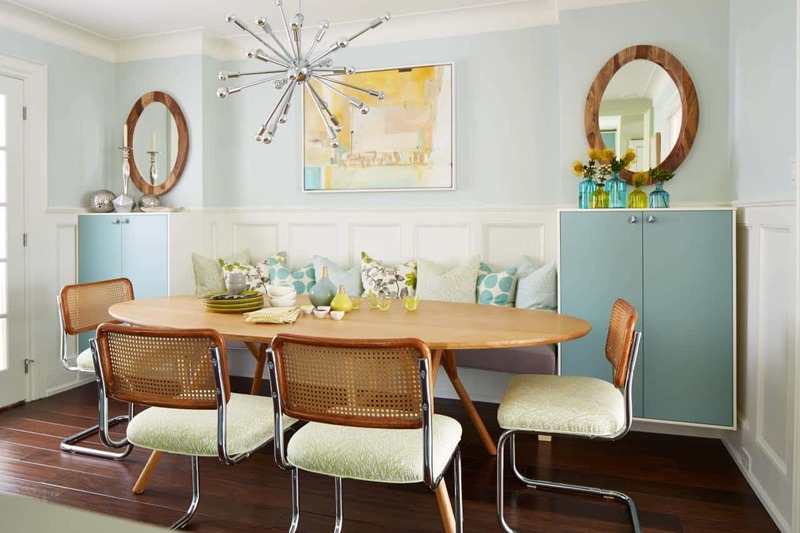 Mid-century décor happens to be one of the best classic looks of all times, especially when it comes to their light fixtures. Let us know in the comments below which light fixture you would consider having in your home.